"Why would you want to do that?" That's the question I was asked the most during my week with the 2016 Dodge Viper ACR. After more than a month of contemplating the answer to that question, I'm still not entirely sure. 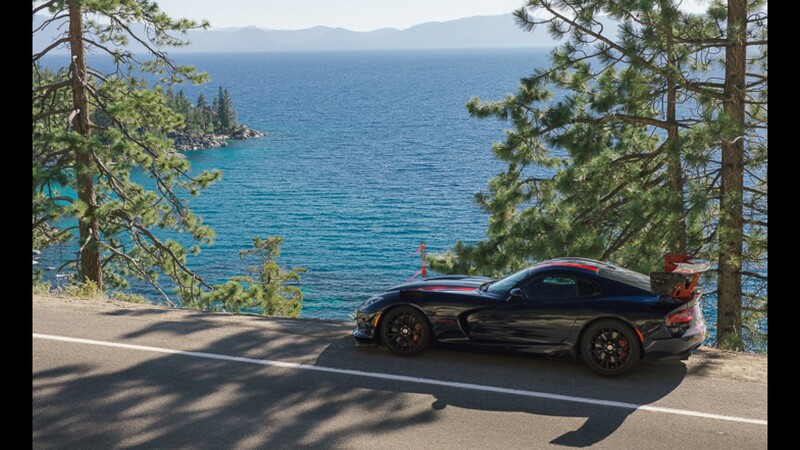 In the moment I offered up that I was on a road-trip from Los Angeles to Lake Tahoe, and that I was doing it with the Viper ACR because it's the last car you would expect to be well-suited for such a journey. Also, I was able to schedule the car over the 4th of July holiday weekend, so that added an extra air of Americana to the whole thing. While that was the initial idea, it was hardly the whole story. 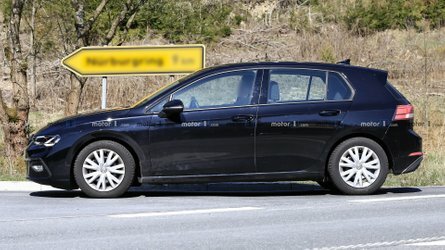 Yes, I was on a road-trip, and yes, I was enjoying the fact that by simply putting this car out in the real world I was doing something unique. But there was an underlying purpose that became apparent after the first couple of days on the road. 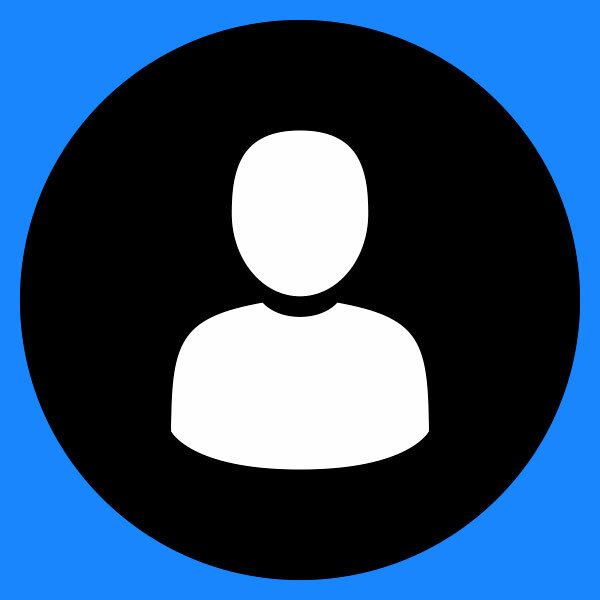 The more people that gave me quizzical looks, or shook their heads when I told them what I was up to, the more I became aware that I was doing something few people would understand. Even some of my peers that I spoke to via social media or email were dumbfounded by what I'd chosen to do with this extreme piece of machinery. "No, I'm not taking it the track," "Yes, I'm aware that if I was to damage one of the rubber bands that Dodge passes off as a front tire I'd likely be stranded for a few days." In general, everyone seemed pretty concerned, like I didn't know what I was getting myself into, or that I didn't understand the true purpose of the car. Wusses with no vision, the lot of them. 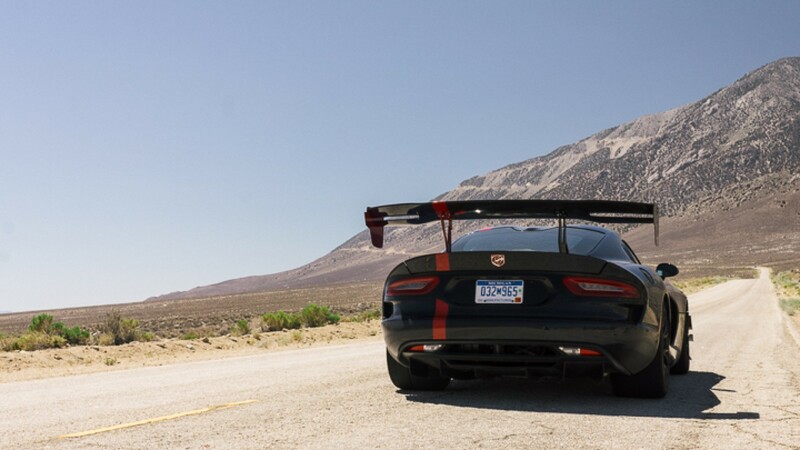 I wanted to prove them wrong, show them that not only could you take a Viper ACR on a road-trip, but that you should. 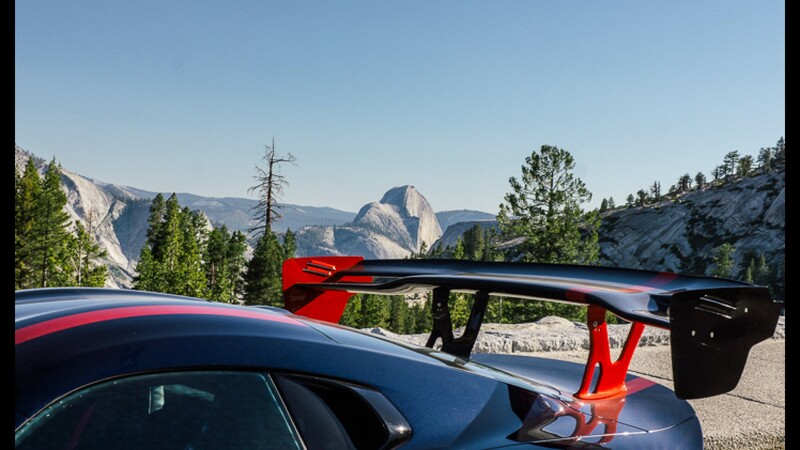 I don't know exactly how many reviews out there state that driving the Viper ACR anywhere other than a racetrack is a waste of time, or an ill-advised idea, but off the top of my head I can think of four. It's not that they're completely wrong – driving an ACR on the street is an ill-advised idea 99 percent of the time, but that other one percent is when you get an experience unlike any other. Hours of discomfort fade away when the road opens up and you realize that you're at the wheel of the most capable street-legal car currently on the market. The ACR holds production car lap records at 13 of the world's most formidable race tracks, including Laguna Seca, where it famously demolished the Porsche 918's lap by 1.24 seconds. You're going to tell me that bringing that performance to the street is a waste of time? Oh how I weep for thee. My first couple of hours at the wheel were spent getting familiar with how the ACR handled the imperfections of public roads. Riding on 295/25/ZR19 front and 355/30/ZR19 Kumhos is reassuring when you're gunning for new lap records, or pulling 1.5 Gs on a canyon road, but how are they on the neglected freeways leading out of Los Angeles, and highways of the high desert? Well, they certainly keep you alert. Between constantly monitoring the road for debris that might cause a blowout, and all the information being fed to you about the surface currently underneath the car, driving the ACR 'in the wild' means being on your game. 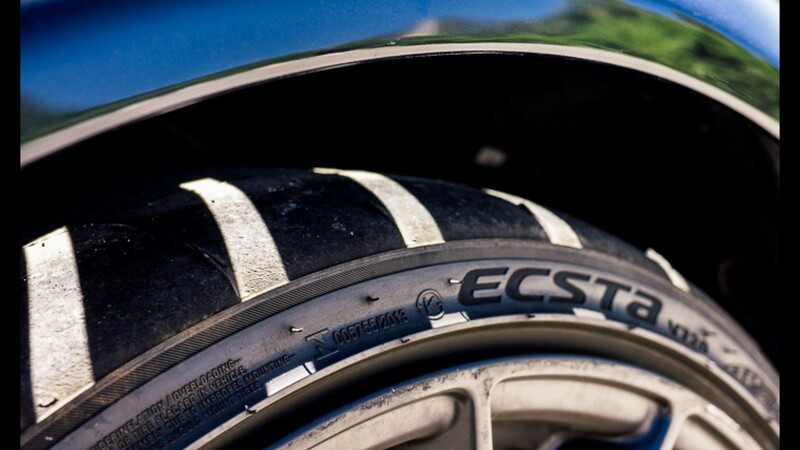 However, at a certain point it becomes subconscious, it's not like you're worrying about the tires constantly, or any other part of the car for that matter. I have driven more expensive cars in this class, in more hospitable environments, and I've been far more concerned about their well being. The ACR felt solid in every way possible for the duration of my time with it, which is especially impressive considering how much I was constantly asking of it. Nearly 2,000 miles over the course of a week, the majority of those coming in a four-day period, and it never so much as idled rough. I'd put my faith in this car to get me where I need to go over ones that cost four times as much any day of the week. 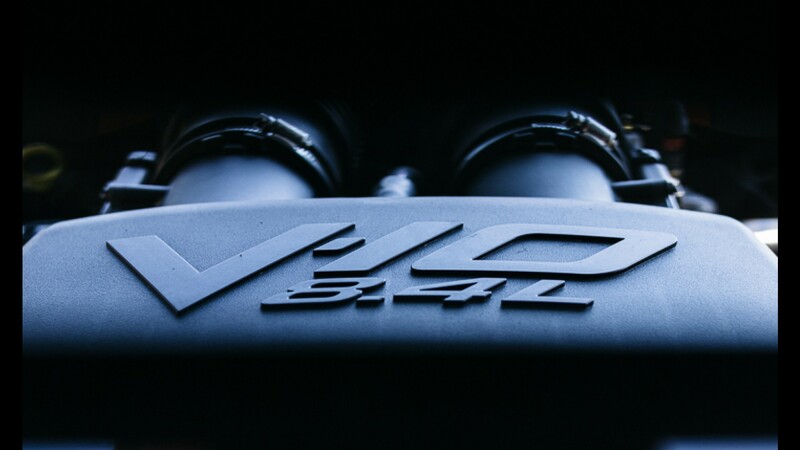 In the simplest of terms, the Viper ACR experience begins with the 8.4-liter V10 and ends with the burbling exhaust note reaching your ear drums. 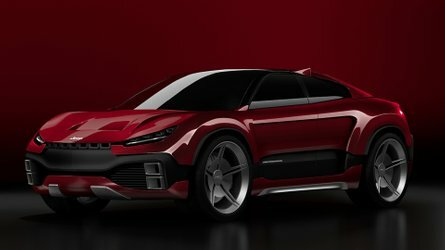 If the ACR handled like crap, was awful to look at, and had a garbage interior, it would still be worth driving because of that big lump of an engine underneath. Lucky for us, it handles like a go-kart, is difficult to take your eyes off of, and has a far better interior than one would think, but I'll get to that shortly. Presently I must do my best to convey what it's like to have 645 horsepower and 600 lb-ft of torque at your disposal, in this particular vehicle, on roads that are open to the public. Here goes nothing... You know when you have a cheat code active in a video game, but nobody else you're playing with knows you put it in? It's like that. 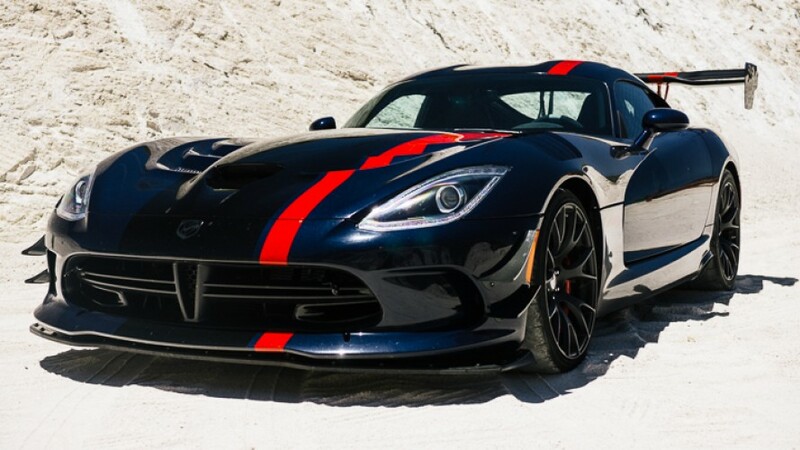 The Viper ACR is a cheat code in the form of a car. It alters the way your brain is programmed and turns the world into your road course. Passing lanes materialize out of thin air, tight curves become gentle sweepers, speed limits become friendly reminders of what the man thinks is reasonable. Does it encourage reckless behavior? Absolutely, but what car doesn't? A quick survey of your local thoroughfares will yield a cavalcade of jackasses in mid-size sedans that drive as if they're at the wheel of a race car. At least the ACR is actually a race car. Remember what I said about constantly being alert when driving the ACR? As I learned four hours into the first leg of my drive to Lake Tahoe, being alert isn't the same as being present. 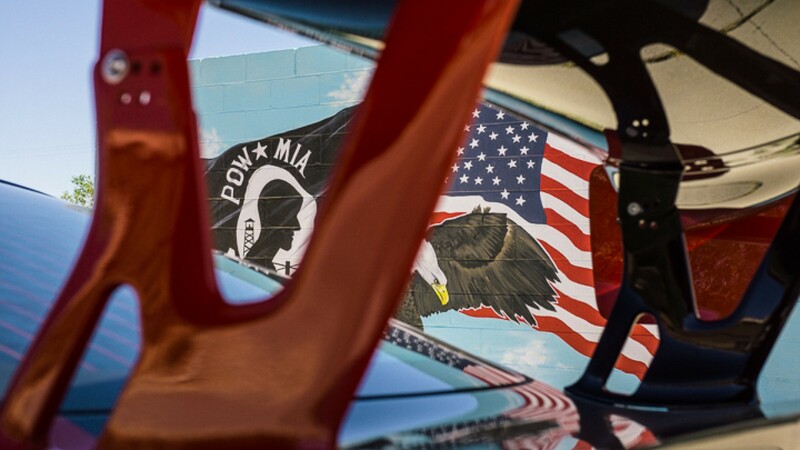 The steady thrum of the exhaust, combined with the toasty tight quarters during midday in the desert makes for an environment in which you are acutely aware of what's going on with the ACR, but not the world around it. 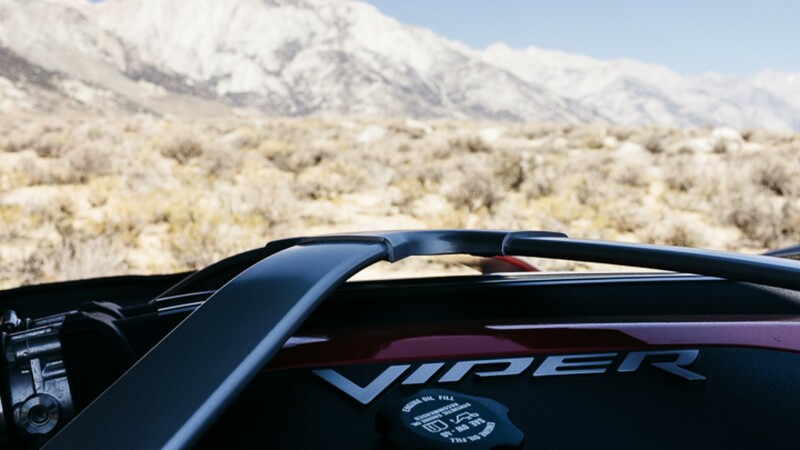 Visibility isn't the Viper's strong suit to begin with, but add in that comically large wing and you've got nowhere to look but ahead. Ok, you can see a little of what's going on behind you, but coupled with the need to constantly be observing the road ahead for tire killers, your attention is rarely directed to the rear of the car. When I spotted the California Highway Patrol officer traveling on the other side of the divided highway, I was totally calm. I had cruise control (yes, it has cruise control) set above the legal limit, but below the limit that's unofficially ok with most officers. I thought I saw the brake lights on the cruiser flicker, but couldn't be sure, nor could I crane my neck around to check. I turned my attention back to the road ahead and as I did, was alerted that I needed fuel, again. As luck would have it, there was a gas station within sight, so off went the cruise control, and on went the turn signal. No sooner than when I pulled up to the pump and engaged the e-brake did I notice the flashing lights of the California Highway Patrol cruiser. The details of the exchange are inconsequential, all I will say is that there's a certain kind of cop out there that just wants to check out a cool car when they see one. With nothing more than a suggestion to keep the speeds reasonable, I was left to fill my tank and get on with trip. Four days later ,I would find out the hard way that the unofficial limit isn't as widely agreed upon as I'd hoped. Even with a freshly written ticket in the glovebox, the buzz of driving the ACR didn't wear off. 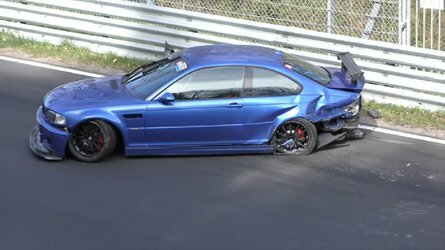 Besides, it could have been much, much worse, he could have caught me 20 minutes prior on one of the best roads I've driven in my entire life. Frankly I can't blame either of the officers for stopping me. 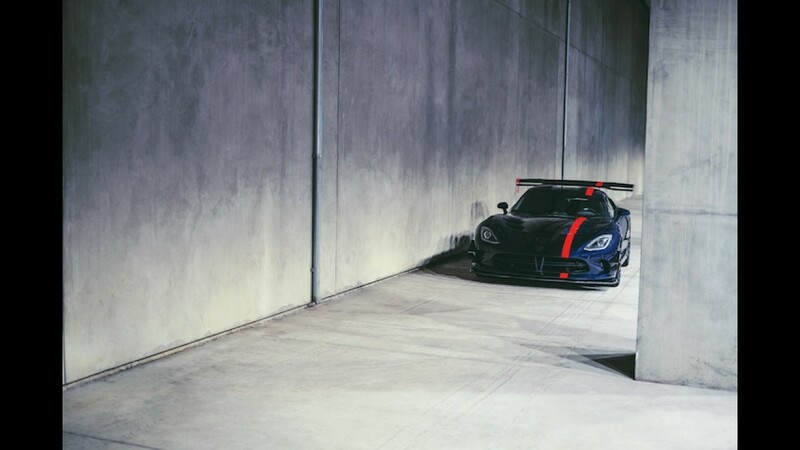 If I was in their position, I'd stop every Viper ACR I saw just out of curiosity. The ACR doesn't attract attention so much as it demands it, and that was the one aspect of my time with America's most absurdly attractive automobile that I was unprepared for. 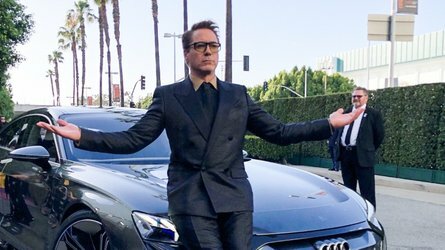 Perhaps it was because I've driven a number of head turning cars around Los Angeles, but I just didn't expect people to react the way they did. I figured most people would scoff, utter something about over compensating for the size of a certain appendage, and get on with their day. I couldn't have been further off, everyone I encountered loved this car. I took to driving with the windows down anytime I was in an area with foot traffic because I got a kick out of hearing kids yell "Viper!" or "Look! Look!" Oddly enough, adults had a harder time using actual words when they saw the car, and on more than one occasion I heard what would show up as "unintelligible yelling" were the scene being viewed with subtitles. One guy backtracked with his whole family in tow just to look for me having seen the ACR heading in the opposite direction in a podunk town in the desert. He found me shooting photos on a side street and with his father looking on, I let the guy get in and fire the ACR up. "That just made my whole damn vacation," he said with a huge grin on his face. "Too bad you won't be able to afford one 'til I've passed," said his father. I told him the car was $132,990 as equipped. "Hmm, maybe you can get one before I go after all!" Gotta love the quick wit of the elderly. After the fifth extended conversation at a gas station, I just took ownership of it. The extreme carbon fiber aero kit was always a hit, as were the removable hood slats, which I only demonstrated a few times. I took countless pictures of strangers in front of the car, let a few of them sit in it, which usually only added to their confusion as to why anyone would subject themselves to long stints at the wheel. The friends that I took for rides around the Lake Tahoe area understood well enough. It's like they say in the fly fishing community, "the tug is the drug." 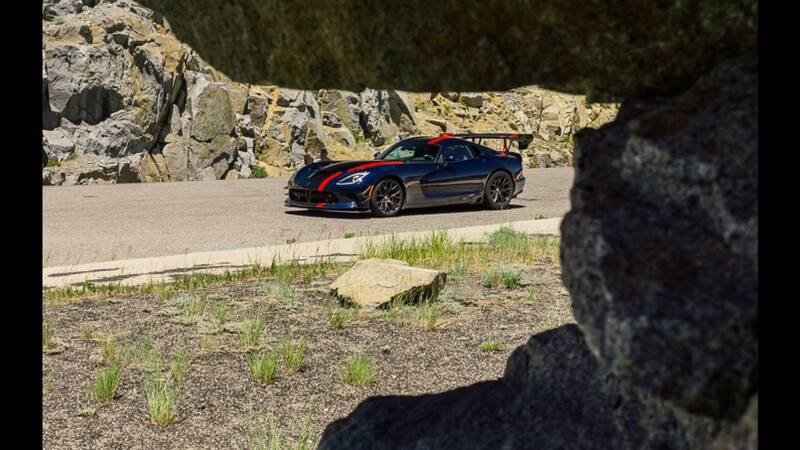 In the case of the Viper ACR, 'the drug' is the feeling you get in your gut when you get a clean first to second gear shift and keep your foot to the floor all the way through seconds up to third. There are few feelings quite so satisfying as making your friends howl with nervous laughter, then turn to you and say, "do it again." Having enjoyed the holiday in Lake Tahoe, I left the familiar behind and headed south through uncharted territory. I've lived in California for nine years, and until this trip, had never been to Yosemite National Park, which is embarrassing for someone who loves the outdoors as much as I do. My route from Tahoe to Yosemite was completely new to me, and looking back on it, the decision to take roads I wasn't familiar with may not have been the wisest one. However, once again luck was on my side, and following all the construction delays, I was treated to long stretches of road devoid of any vehicles. Freshly paved roads winding through the California wilderness are what dreams are made of. Had there been more time I would have happily stayed to explore the Yosemite Valley and surrounding area over the course of a couple days, but with the return date looming, I had to expedite my trip through one of the most jaw-dropping places in the country. With the sun setting behind me, I made my way down the grade on the eastern side of Yosemite, and for the first time in my five days with the ACR I felt fatigued. I longed for a more supple seat, a cushier suspension, and a stereo with more than two speakers. It didn't come as a surprise, after all, I'd been driving for six and a half hours, and I mean really driving. My right knee was seriously sore from being in the same position for such an extended period of time with out the usual thigh support, and my lower back was in dire need of a foam rolling session. I knew this would happen at some point, but with a line of cars in front of me, and roughly half an hour left to the highway, the ACR felt like an especially cruel form of punishment. Had the naysayers been right? Was bringing an ACR out into the real world a fool's errand? All it took to banish the dark thoughts from my mind was turning onto the highway and wringing the first three gears out to redline. With the exhaust popping as the digital needle bounced at its limit, I found myself completely rejuvenated. The soreness of my knee and lower back faded as my speed increased. Before I knew it, I was right back to being smitten with the ACR. Knowing I couldn't waste the opportunity, I took a scenic loop to reach my final destination for the day in hopes that I could snag a few shots of the car before the light was totally gone. Sure enough, I found a spot where a few rays were still spilling over the ridge in the distance. I quickly pulled over, grabbed my camera and walked away from the car to find the best angle. As I crouched down to frame up a shot, the ambient sounds of the high desert seemed to get louder. A warm breeze rustled dry brush, crickets chirped, birds squawked, and the Viper joined the chorus with pops and pings as it sat there cooling. I lowered my camera, and took in the moment. I had brought a violent machine into a place of serenity, and somehow it was fitting in. 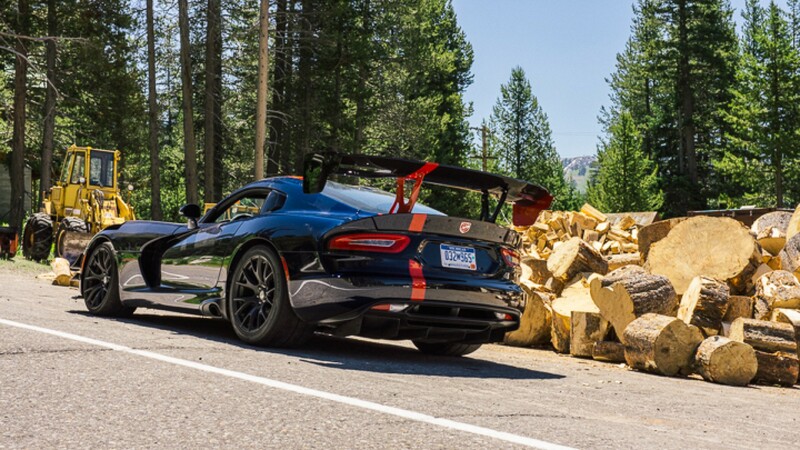 Then it dawned on me, the Viper ACR is a machine, but a machine with heart. 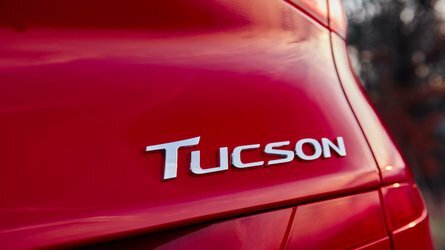 The passion of all those involved in it being built is evident from the ground up, and that's all but gone from the automotive marketplace these days, especially at this price.